Bearwood High Street in Birmingham used to be different. There used to be more shops, it used to be busier – not with cars, with people – but first the post office moved, then the local supermarket. Now, Bearwood High Street is full of empty shops, charity shops, and too many cars. The story of Bearwood is repeated up and down the country. In 2017, 6000 stores closed in the UK, more than any year since 2010. Since the start of this year, Toys R Us, Maplin, New Look and Mothercare have had to close stores. The British high street, the British Retail Consortium (BRC) says, is dealing with a “cocktail of challenges”. Translation: Stores are having to deal with the fact that customers are abandoning them to shop online, on top of the challenge of increasing business rates (or taxes), and a higher minimum wage. The result: brands are closing shops, and laying off staff. Online shopping obviously isn’t that new anymore, and high streets have been struggling for years – but the BRC told us it hoped the closure of big name stores like Toys R Us would “sharpen focus” on the problems the high street is facing. In other words, it might force us to act, now. Why save the high street when you can buy everything online anyway? But why? When we spoke to people on Bearwood High Street, they were pretty clear about why they don’t shop on the high street – the shops aren’t good enough. Shopping online’s more convenient. There are ‘economic’ reasons why it’s important we don’t all buy everything from Amazon, says Alex Schagman, the founding partner of an organisation called Save the High Street (we probably don’t need to tell you what they do). For a start, he says, there’s the fact that shops closing means there won’t be as many jobs in the area. But then there’s also the fact that local businesses pay taxes to local councils, called business rates. Although they’re pretty controversial, they’re also a significant part of how local governments get their money. “From a taxation point of view, there aren’t businesses to pay business rates, and suddenly you’re looking at a huge shortfall in income for local government,” says Alex. "It's lost the community feel"
But back in Bearwood, people aren’t all that bothered about business rates. For them, the loss of the high street is more about the loss of a centre for their community. “It’s lost the community feel,” one shopper told us. Others were worried about what “older people” would do if they couldn’t get out to the shops locally. Save the High Street focuses on making sure high street businesses (mostly independent retailers) are equipped to deal with the 21st century. That’s things like advertising themselves online (being able to work out Facebook’s algorithms, basically), communicating with other retailers, and just becoming “better-connected”. 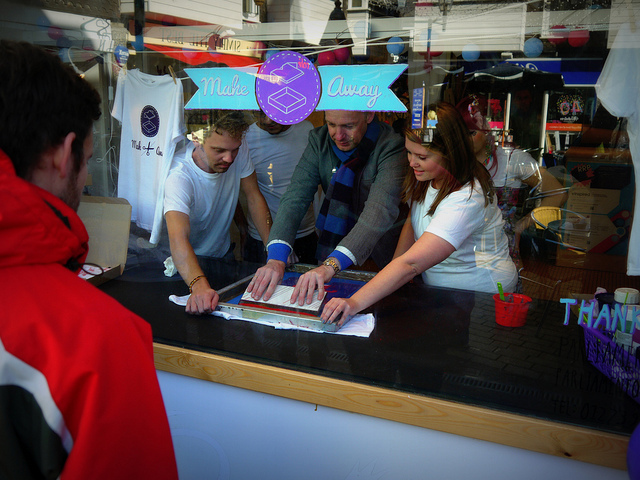 But for Dan Thompson, who launched something called the Empty Shops Network way back in 2008, ‘saving’ high streets is about more than just helping out retail – it’s saving the whole culture around high streets. In fact, he argues, it’s only in the last 30 years or so that high streets have just been a place to do your shopping. 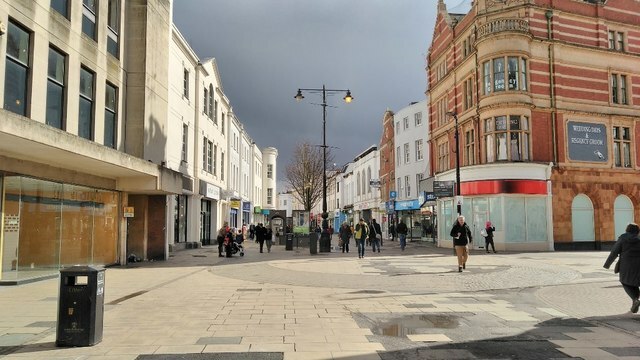 “If you go back a little bit further and look at high streets you’ll find there are cinemas, theatres, churches and social clubs, and in a short period of time we’ve let them become completely retail dominated,” he says. 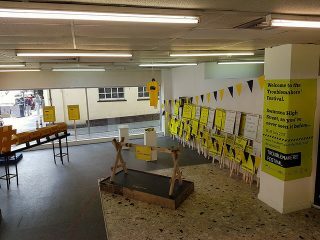 The Empty Shops Network takes unused retail space and gives it back to the community. Local people set up pop-up art exhibitions –one time they put bumper cars in an empty carpet showroom. “It’s about making high streets ‘sticky’,” Thompson tells us (a sales word for ‘something you want to come back to): by making high streets diverse, one-of-a-kind places, where you can do something more than just make a purchase, people will value it, enjoy it, and keep coming back. Somewhere between Save The High Street and Empty Shop Networks’ approach, a group of people – mostly local business people – in the town of Stockton-on-Tees, in the north of England, have come together to form Stockton BID (Business Improvement District). It works by collecting a levy (kind of like a tax) from local businesses. That money goes towards events and initiatives that make Stockton “an exciting and attractive place to visit”, and ultimately “boost trade”. Stockton has an annual festival with a carnival, music, and street theatre. There’s sporting events, like a duathlon and a cycling festival. “It’s a hub of activity”. So does that mean all is not lost? In 2017, Stockton bucked the national trend, with more shops opening than closing. It won a ‘rising star award’ in the 2016 Great British High Street of the Year (yes, it’s a thing), and its high street has an award winning book shop, and an award winning hairdressers. Thompson also thinks there’s a lot to be positive about. 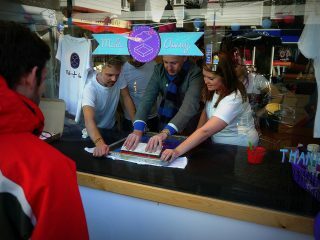 High streets like Stockton are embracing the need to get people into town to do something other than shop. “I nearly packed it all in, he says.